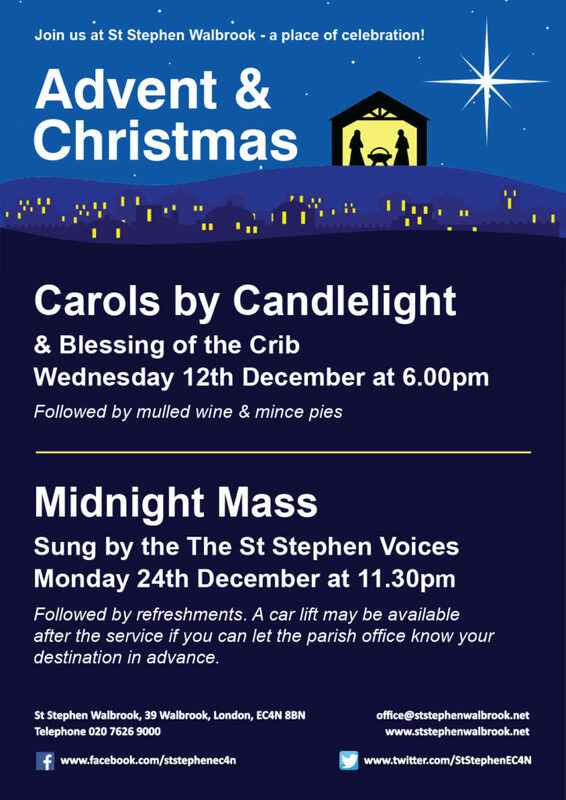 Join us this Advent and Christmas at St Stephen Walbrook – a place of celebration! Join us to sing a selection of your favourite Christmas Carols at our Annual Parish Carol service, with music from our Choral Scholars and Community Choir. Followed by mulled wine & mince pies. Join us to celebrate the birth of Christ. Music sung by The St Stephen Voices. Followed by refreshments. A car lift may be available after the service if you can let the parish office know your destination in advance.